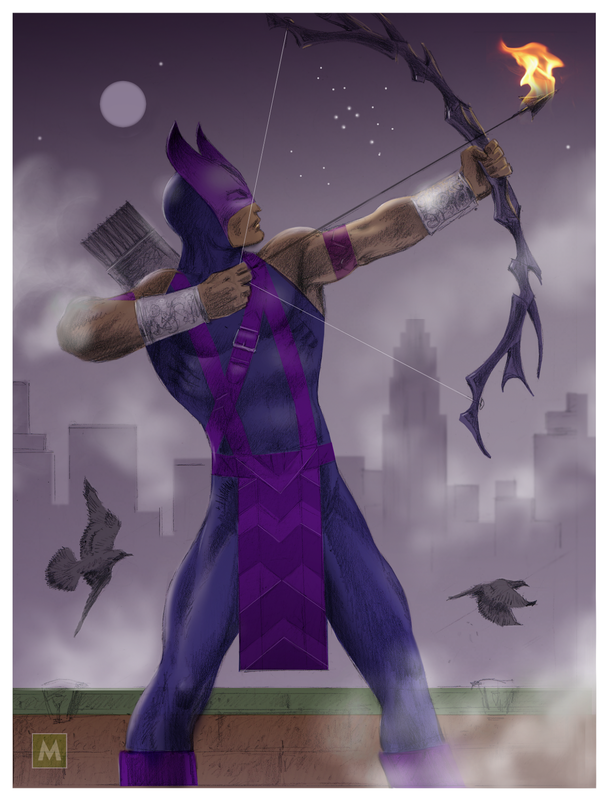 I have done a new illustration of the Marvel character, Hawkeye. It's more dramatic than my previous sketch. I have added this new image to my deviantART Gallery!